This publication provides guidelines for establishing and participating in cyber threat information sharing relationships. 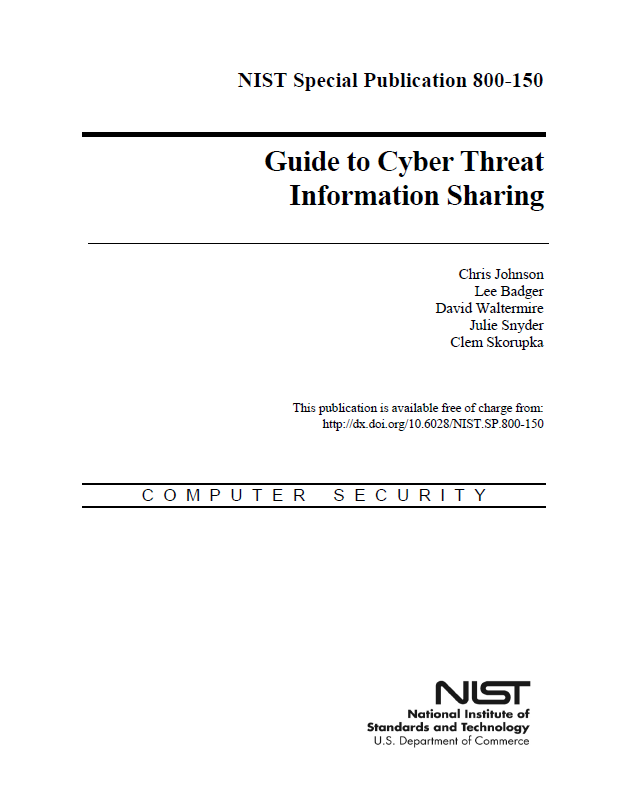 This guidance helps organizations establish information sharing goals, identify cyber threat information sources, scope information sharing activities, develop rules that control the publication and distribution of threat information, engage with existing sharing communities, and make effective use of threat information in support of the organization’s overall cybersecurity practices. Publication courtesy of Julie Snyder, Lead Security & Privacy Engineer, MITRE.